Shocking, I know, but there it is. I read banned books. Scandalous! Actually, I see nothing wrong with any of the books on the banned books list. To each their own, I guess. But when one person or organization starts to attack a book because it doesn't meet their requirement of what is proper for the masses in general, well that just starts to rub me the wrong way. If you don't agree with a book, then don't read it. Plain and simple. Don't make others suffer for your fear or ignorance over the subject. I think in many cases, if a book is touching on a subject that someone may find objectionable because of the subject matter and what their children may get out of it, use it as a source of conversation between you and your child. Read the book first, then read it with your child and talk with them over any questions they may have. Don't deny them the opportunity to read the book because number one, that would make them want to read it all the more (nothing will pique a kid's interest more than something that they are not allowed) and number two, because it makes you uncomfortable. Maybe you'll learn something along with your kid. Books are great! They open whole new worlds, every single day. It makes me mad that a small, select group of people want to deny others this joy simply because they don't agree with the subject matter. I often wonder if they've actually read the books that they want banned, or if they are simply suffering from a knee-jerk reaction to the subject matter. Again I say, if you don't like the book, don't read it. Simple as that. Or maybe, read it, and broaden your understanding. 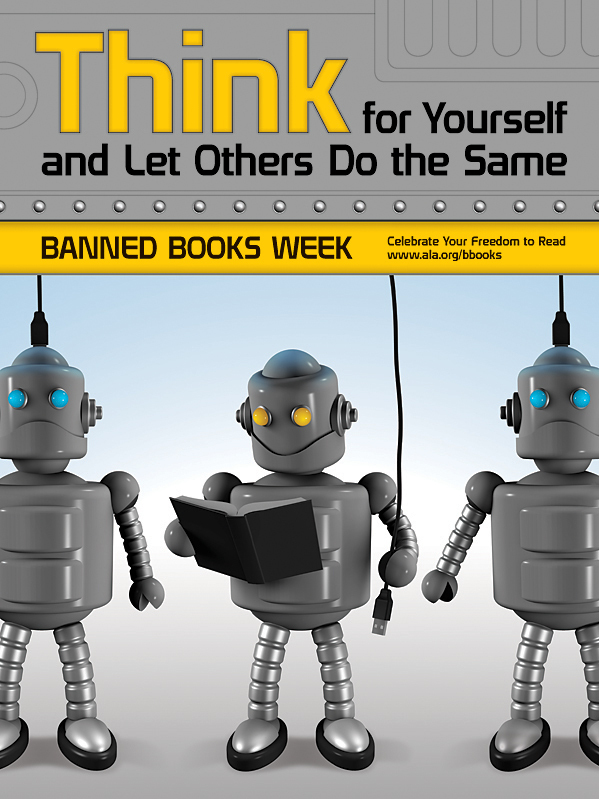 I read banned books. And I'm proud of that fact! For more information about Banned Books Week, visit www.ala.org/bbooks. 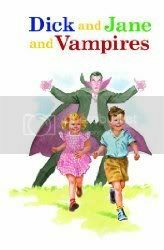 A nice, creepy little book that would probably be good to read on a dark and stormy night. Look for my review on November 7, 2010, just before publication. Good morning, fellow Salon Members! Can it really have been so long since I last posted a Salon post? Almost a year? Unfortunately, it is all too possible and all too real. I've had a long year, so far. No excuses, that's just the way it is. Several things have changed for from my bookshelf... this year; a new look and a new domain name (www.frommybookshelf.com) among the most notable. I'm just trying to streamline my blog and make it more user friendly. I had an interesting discussion with a friend about my blog the other night, and he was wondering how much money I made off of this, and I told him nothing. I use the Amazon links at the bottom of every post (and will begin using an independent bookstore's links as well), but in the 2+ years that I've run my blog, I've received one $10 payment from Amazon. I don't do this for any kind of money. I do it for me. It's a way for me to keep track of what I'm reading and to connect to other readers out there and to authors and to share my feelings about books, and that's always been the sole reasoning for this blog. And lately, I've been wanting to make it better. So, to that end, I'm running a contest right now to gain followers, and you can read more about that here. Another feature that I added just last week and one that I'm going to try to keep to every week is the Fragment Friday meme hosted by James at Book Chic Club. You can see my first contribution here and read more about Fragment Friday. So, then that's about it for this Sunday Salon. I'd have far too many great books to talk about since my last Salon (which was almost a year ago, I'm ashamed to say). I'd love it if you checked out my reviews (there is a list of all books that I've reviewed so far this year in the column on the right) and share your thoughts with me if there are any books that we've both read this year. I'll also be posting up a recap of getting to meet Emma Donoghue from earlier this week later today. Until next week, everyone, happy reading! 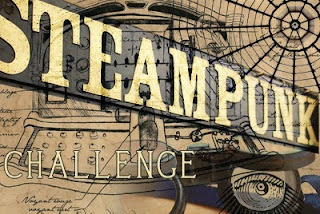 Rikki at The Bookkeeper is starting a Steampunk Challenge, and since this is easily becoming a favorite genre for me, I thought this was something that wouldn't really be a challenge for me, after all. Besides, the Challenge is running for an entire year (from October to October), so I think I'll be able to read plenty of Steampunk goodness! There are quite a few great up and coming authors who are really making something of this genre: Cherie Priest, Gail Carriger and Scott Westerfeld, just to name a few. Rikki has left a great recommendation list in the original post, if you need some help deciding what to read next! Welcome to my first edition of Fragment Friday, a weekly meme hosted by James from Book Chic Club, where we vlog a small snippet from a current read. My excerpt this week is from Room by Emma Donoghue. Room is available now from Little, Brown and Company, and comes highly recommended! Please excuse the poor sound quality. After 6 tries (yes, 6 tries - this is the first time I've done this! ), this is the best that I had. I promise that it will be better next week! You've got to start somewhere, right? I hope you enjoyed this weeks fragment! Until next week, happy reading! I admit it. I stole this right off the email that SubPress emailed me this morning, but my mom suffers from Lupus, and I think it's going to an excellent cause! The chapbook is available in multiple DRM-free electronic formats at unicornpegasuskitten.com. It is free to download, but voluntary payment is strongly encouraged, via Paypal or by tax-deductible donation, with links to both provided at the unicornpegasuskitten.com Web site. All proceeds from this chapbook will go to the Michigan/Indiana affiliate of the Lupus Alliance of America. For five year old Jack, there has never been anything other than Room and Ma. He was born in Room, he's lived his entire life in Room, he has never left Room. Ever. It is his home. However, for Ma, it has been a prison for the last seven years, a place where she has been held captive by Old Nick. It is also where she keeps Jack safe, but even she knows they'll have to escape eventually. It is going to have to be a daring plan, one that requires all of Jack's bravery to deal with the Outside, a place that he has never ventured into. But if they actually get to the Outside, how will Jack deal with discovering that there truly is another outside world that he has never known about. Told entirely from Jack's point of view, Room is unlike anything that I have read. To look at life through the eyes of a child who has never experienced anything beyond the 11 x 11 foot dimension of his confines is amazing. Things that we would take utterly for granted are utterly new and strange to him. It is a sometimes refreshing and frightening perspective, and one that is entirely unique. Sometimes I found Jack to be a little too intelligent for never having experienced anything outside of Room and Ma (we never discover her real name) seems to have a little bit too much insight on how to care for Jack and the things that he needs to stay healthy for someone who was kidnapped at 19 and no contact with the outside world or guidance on how to raise a child. For instance, knowing that they need time to sunbathe from the light coming through the skylight so that they have a tolerance for sunlight or having Jack focus on things close and then far away (the roof) to help strengthen his eyes seem, at least to me, a little too far fetched for someone in Ma's situation to inherently understand. These technicalities aside, Room is still an astounding book and one that I couldn't put down. Ma's love for Jack, even when she is at her wit's end with him, and Jack's returned love for Ma, even when he is angry with her and doesn't always understand her reasons for what she does, is evident on every page. Emma Donoghue balances just the right amounts of hope, pathos, suspense and relief to make Room an engaging story without taking any of these elements too far. So, I'm scrolling through my FB newsfeed this morning, and as I'm skimming through the posts, I stop and realize that I'm looking at a picture of me! The wonderful Meg Waite Clayton (author of The Wednesday Sisters, one of my top reads of 2008) has shared a short blog post on the importance of book bloggers to the success of The Wednesday Sisters. And while this may seem a little self-serving (Meg says I'm handsome! #blush - and I'm equally glad to be able to call her a friend, as well), I thought it was great insight from a published author on the importance of book bloggers in general. Happy reading, everyone! There's a time and a place for saying what's really on your mind, and Insults & Comebacks for All Occasions provides verbatim lines for dishing it out with wit and verve. Armed with barbs targeting everything from looks to age to intelligence to character, you'll always be prepared with an appropriate or completely inappropriate put-down or comeback. With the help of this pocket-sized prompter, your reputation will soon precede you. OK, I'm going to admit that this book was simply purchased on a whim with no other basis than the silliness of it. The book is put together very attractively (it looks like an older book, with no dust jacket and the name foil stamped directly onto the front board in a retro font) but, really, the matter is very subjective. 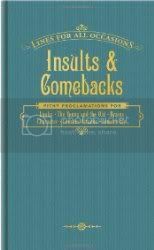 It is exactly what the title says it is, a collection of insults to use in everyday conversation and some are funny and some are not, and the whole thing written entirely tongue in cheek. I can't really recommend this to anybody, except people who like some good sarcasm, and even then only thinly recommended. Yet another find from the Subterranean Press grab bag. 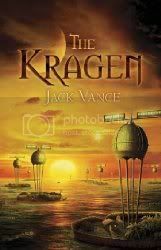 The Kragen is a novella written in 1964 which Jack Vance eventually expanded into The Blue World and published in 1966. The kragen are squid-like nautical beasts that roam the oceans and terrorize the populace of the Floats (a village built on large lily pad-like vegetation), humans who were brought to this new world after they escaped from their original world. Even though it is never explicitly stated, I'm fairly certain the ship that the original colonists used to get to the new world was a prison ship, and that the ancestors of the current populace were criminals; the reasoning behind this is the caste system that is used for the new population with names such as Bezzlers, Hoodwinks and Counterfeiters. After several generations on this new world which has no land and is nothing but one large ocean, the populace has created a rather strict system of governing themselves. They have also developed something of a religion based around King Kragen, the largest kragen, who protects the Floats from other smaller kragen. After one kragen attack too many, Sklar Hast, a Hoodwink of some repute, has decided that they have lived under the tyranny of the kragen, and especially King Kragen, long enough, and decides to kill a smaller kragen, which has never been done before. After King Kragen exacts revenge on the Float and the governing body of the Floats wants to punish those responsible, Sklar Hast and his fellow sympathizers decide to set out to find new Floats and to set up a new life for themselves and to discover a way to kill King Kragen and take back their own lives. This is a fairly quick read, a little slow to get into, but once the action starts it's fairly consistent. Fairly. It does seem to drag a little in parts, and the ending just seems so non-committal, I couldn't believe that was it. My first impression was that the story definitely needed to be longer, and upon discovering that it was, in fact, expanded into a longer novel makes me want to go pick that up to see how Vance grew the story, hopefully with a more fulfilling ending. 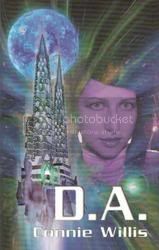 Theodora Baumgarten has just been selected as an IASA space cadet, and therein lies the problem. She didn't apply for the ultra-coveted posting, and doesn't relish spending years aboard the ship to which she's been assigned. But the plucky young heroine, in true Heinlein fashion, has no plans to go along with the program. Aided by her hacker best friend Kimkim, in a screwball comedy that has become Connie Wills' hallmark, Theodora will stop at nothing to uncover the conspiracy that has her shanghaied. This is another book that I received in my Subterranean Press grabbag from a couple weeks back, and while is something that I would never have picked up on my own, it was a fun, quick little read. Theodora Baumgarten is accepted to the IASA, the Academy that teaches new cadets to become astronauts. The only problem is, she never wanted to go to the IASA and never applied. So, how did she get in? Some clever hacking from her friend Kimkim finally reveals the answer and Theodora is left to make some big decisions about her life. This is my first experience reading Connie Willis and it wasn't bad, but I certainly need to find something a little longer that I can really sink my teeth into. I really can't recommend or not recommend this book. It just is. OK, so I'm not going to go into a bunch of detail about the actual story, because I don't think I could really talk about anything that wouldn't require huge spoiler tags throughout the entire post, so I'm just going to stick with talking about my general impressions of the book. Keep in mind, however, that there could still be what might be considered spoilers. Like everybody who has been reading The Hunger Games, I'm sure I wasn't alone in the excitement of the release of the final installment in the story. I even waited until I had an entire day where I could sit down and devote all the time I needed to read the book in one sitting. 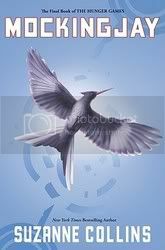 I got myself all psyched to reenter the world of Katniss Everdeen. Would it be Peeta? Would it be Gale? Would the Capital fall? So, I may or may not catch crap from the rest of the reading world over this, but I found the book to only be mildly engaging. Don't get me wrong, I absolutely couldn't wait to see how the story was going to end, but the book was not unputdownable. I was easily able to set the book aside and come back to it later. Some portions of the story seemed to be far too overplayed (3 pages to explain a song that Katniss's father used to sing to her?) and other portions far too underplayed (1 dismissive paragraph about Katniss's new bow, which seems to be alive, yet no further explanation is ever given). And ending every single chapter with a shocking last sentence got a little tedious by the end of the book. Speaking of the ending of the book. A good indicator for me about the lack of investment in the story was when I got down to about 20-30 pages left of the book, and I was tired the night I was finishing it, and I didn't even really care to try to stay awake to see what happened. And what did happen? All the action seems to take place while Katniss is in a delirium (I don't think I'm actually giving an important plot point away here) and we, the audience, find out what happened in the background through piecemeal flashbacks. Honestly, it felt like the book could have ended earlier and a fourth novella been released as the ending (Suzanne Collins probably would have loved this idea - the ultimate cliffhanger ending that she seems all too eager to write) since I don't think a fourth full length book could have supported the ending, or Mockingjay could have been longer. I got the impression that she needed to end the book under so many pages, so basically just wrote off what happened in the end like she did just to make it fit in the space her editors gave her. Who knows, but the ending of the book was something of a letdown to me. Too easily dismissive (not only in the storytelling but also in how some characters were dealt with) and too anticlimactic for my liking. Don't get me wrong. Mockingjay is good. It finishes the story and leaves no plot points dangling, but compared to the previous two books (especially Catching Fire), it doesn't quite live up to it's predecessors. If you're a fan of the the Hunger Games and Catching Fire, you'll definitely want to read Mockingjay. Just don't go in with too high expectations. Penelope Przekop, author of Aberrations, one of my top reads of 2008, has updated her new "novel in posts", Boundaries, with the final update today. 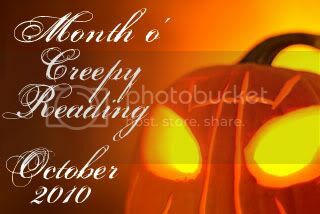 Read it sooner than later, because she's pulling it all down on October 1, 2010. The Man Booker Prize 2010 Shortlist has been announced. 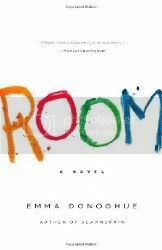 I'm excited that I'll be getting to meet Emma Donoghue at my local Schuler Books later this month for her Shorlisted book, Room. 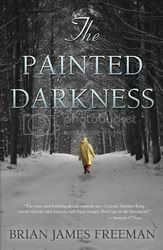 Beth Kephart continues to impress me more and more with her young adult novels. Her ability to pull so much nuance into a story with such ease of language is beautiful. I'd love to spend a day in her head, just to see the world through her eyes; it must be an amazing place to behold. She can create such vivid images and emotions, with the simplest language possible, and every page is filled with more and more. 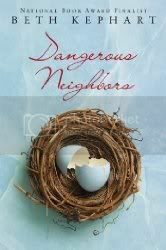 If you haven't had the privilege of reading anything by Beth Kephart, might I recommend Dangerous Neighbors? The year is 1876, and Philadelphia is celebrating the Centennial with an Exposition. Katherine has also just lost her twin sister, Anna, and is trying to determine how best to leave this world and be with her sister. It is a decision that doesn't seem to have come to her easily, but one that seems unavoidable. After spending her whole life being Anna's protector, she feels that she is responsible for Anna's death. However, do to a series of circumstances that seem beyond her control as she is thrust into situations with people around her who seem to want to distract her from her goal, she begins to realize that maybe there is more still to look forward to in this life. These people, the "dangerous neighbors" who float on the sidelines of her life, some who she knows, some who are strangers to her, help to draw her back to her herself. I believe that everyone who reads Beth Kephart's books will each walk away with something different. This can be said with any book, really, but there seems to be an ethereal element to her books that really lend themselves to individual interpretation and understanding. She doesn't challenge her readers directly but subtly, to think about each story and the implications of that story. Do yourself a favor. Read Dangerous Neighbors. You won't be sorry. I'm going to admit to a small love affair with this story. It may be completely dated, but to me it remains one of the most defining X-Men stories. Ever. Back in the day, the Chris Claremont and John Byrne run on X-Men was one of the most exciting eras in the comic's history. Quite a bit of what we see happening in the X-Men stories of today are direct results of what these two men did with the characters back then, and nothing seemed to be bigger during that time than the Dark Phoenix Saga. Jean Grey had been reborn as Phoenix after saving her teammates at the apparent cost of her own life. It quickly became clear that her powers had grown tremendously, and seemed to continue growing exponentially. Eventually, through the manipulations of Mastermind, the true overwhelming potential of her power became evident and Dark Phoenix was born, a being with powers of a cosmic proportion. To sate her hunger, she consumed a star, causing it to go supernova and destroying an inhabited world. Upon arriving back to Earth, the X-Men attacked Jean and tried to diffuse her power. When they were unable to accomplish this, Professor X took matters in his own hands and challenged Dark Phoenix on the psychic level, and won, supposedly locking Dark Phoenix back away in Jean's mind. However at that moment, in order to pay for her transgressions, Lilandra kidnapped the X-Men and sentenced Phoenix to death. Professor X challenged his X-Men against Lilandra's Imperial Guard for the life of Jean Grey, and both teams were sent to the Blue Area of the moon to battle. 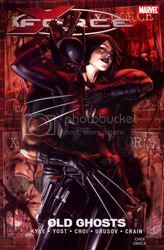 During the course of the battle, Jean began to feel Dark Phoenix taking control, and instead of allowing that to happen and to have more blood on her hands, she decides to take her own life, thus ending the battle. There were so many other great moments in this storyline: the introduction of Emma Frost, the Hellfire Club, Kitty Pryde, Dazzler. All of this was paving the road for some great stories through the rest of the 80s. Like I said before, it it definitely dated. The need to re-introduce a characters name and their power and/or weakness, ever single issue, becomes even more tiring when you're reading a collected edition like this, but even so, I still love to pull this off the shelf every couple of years to give it a reread. This new 30th Anniversary Edition is gorgeous, and the coloring is nice and crisp. Now, for the only complaint about the collection: charging $75 for this edition is ridiculous. 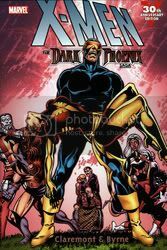 The two Inferno collections cost $75 each, and they each collect roughly 600 pages of story each, where The Dark Phoenix Saga is only 350 pages. To me, this is something of a ripoff. This new edition does collect a short story from Classic X-Men and Bizarre Adventures, the Phoenix: The Untold Story one-shot (which is the original version of the story where Jean Grey lives) and a What If? story about what would have happened if Jean Grey lived, but still, $75 is a steep price for this collection. It is so nicely presented that I can almost forgive them the price, but just barely; obviously, it didn't stop me from buying the edition. I would highly recommend this edition to any X-Men fans, but for somebody who is just looking for a quick read and is not as interested in all the extras with this edition, spend the lesser money and get the trade paperback edition. This edition is really only for the hard-core fans. 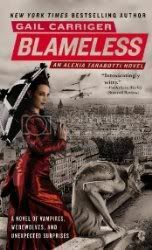 Happy publication day to Gail Carriger for her book, Blameless. Look for my review later this week.